On the Red Sea shore at Wadi Al-Jarf area along the Suez-Zaafarana road, a French-Egyptian archaeological mission from the French Institute for Archaeological Studies (IFAO) stumbled upon what it believed to be the most ancient harbour ever found in Egypt. The harbour goes back to the reign of the fourth dynasty King Khufu, the owner of the Great Pyramid in Giza Plateau. The harbour is considered one of the most important commercial harbours where trading trips to export copper and other minerals from Sinai were launched. A collection of vessel anchors carved in stone was also discovered as well as the harbours different docks. Minister of State for Antiquities Mohamed Ibrahim announced that a collection of 40 papyri, showing details of daily life of ancient Egyptians during the 27th year of King Khufu’s reign, was also unearthed during excavation work carried out. “These are the oldest papyri ever found in Egypt,” asserted Ibrahim. He also stated that these papyri are very important because it reveals more information on the ancient Egyptians’ daily life, as it includes monthly reports of the number of labours working in the harbour and details of their lives. The papyri have been transferred to the Suez Museum for study and documentation. French Egyptologist Pierre Tallet, director of the archaeological mission, pointed out that it is very important to carefully study the information in these papyri because it will introduce plenty of information about this period. The papyri will also show the nature of life that the ancient Egyptians once lived, their rights and duties, which we know little about, Tallet added. 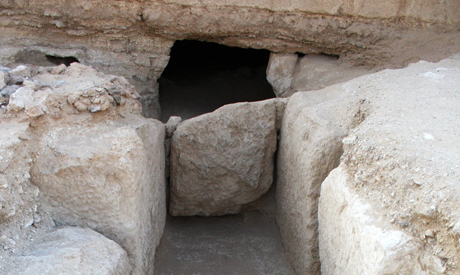 The mission has also succeeded in discovering remains of workers’ houses, which reveals the importance of this harbour and area commercially whether among the different cities of Egypt or abroad, said Adel Hussein, head of the Ancient Egyptian Sector at the Ministry of State for Antiquities. A collection of 30 caves were also discovered along with the stone blocks used to block their entrances, inscribed with King Khufu’s cartouche written in red ink. Ship ropes and stone tools used to cut ropes and wooden remains were discovered as well. How exciting! I have always been fascinated by the history of Ancient Egypt and am constantly on the search for stories about new finds. Have visited Egypt on two occasions and seeing the beauty of some of the Temples and other ruins I am always in awe when something new is found beneath the sand and wonder how much more is yet to be discovered and what new tales these discoveries will unfold. The advance and interlect of the Ancient Egyptians astounds me. I often think that so called 'modern civilization' is actually regressing. Thank you for this enlightening news!! This is a simply marvellous discovery, hoping this will help boost the tourism at least with those interested in ancient Egypt, of which there are many, wondering how long it will take to unveil this site.